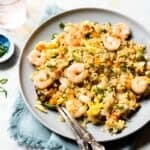 This simple shrimp fried rice recipe is ready in 30 minutes. Serve it with a side of stir-fried green beans or my Chinese garlic cucumber salad. 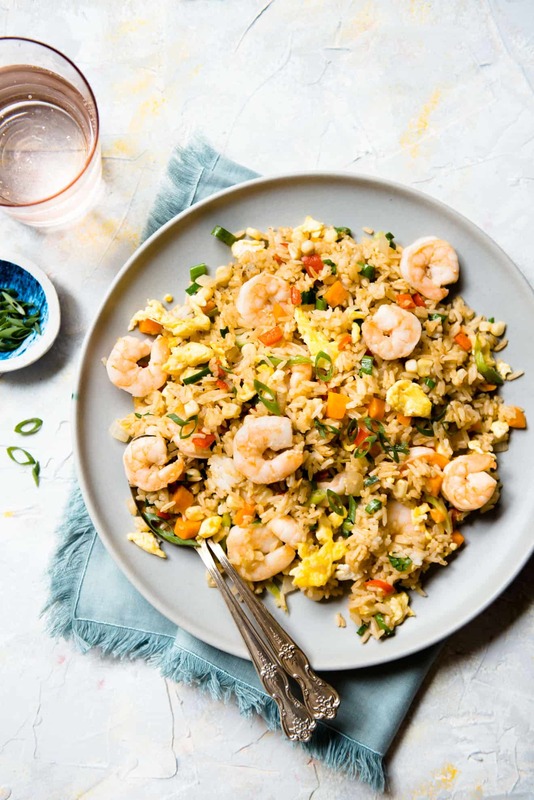 When I was growing up, shrimp fried rice was a dish Mama Lin cooked occasionally to change our dinner routine. She would stir fry rice and vegetables with tiny dried shrimp, bits of Chinese sausage, and small dried scallops if she was feeling fancy. All of those ingredients, while easy to find at a Chinese supermarket, aren’t quite as accessible for most of us. That’s why adapted my mom’s recipe and used fresh shrimp instead. This is a favorite around our house and is great served with a side of my Chinese garlic cucumber salad. 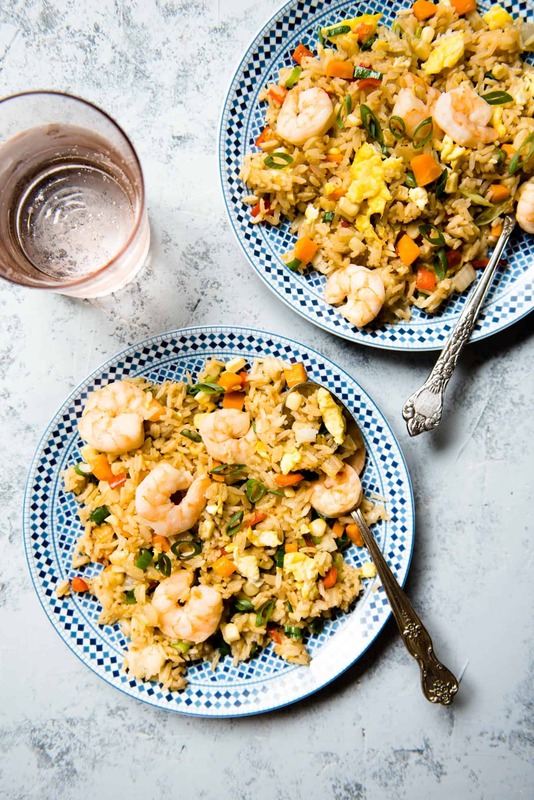 Why you shouldn’t use freshly cooked rice: Fried rice is usually a dish that you make to repurpose the leftover cooked rice from the day before. You want to avoid freshly cooked rice because it is still moist and steamy, which may yield fried rice with a mushy texture. However, if you forget about cooking rice the day before, here is a little trick that I use. I spread a layer freshly cooked rice onto large baking sheets and let the rice air out for about 1 to 2 hours. The grains of rice will dry out during this process. Cooking the shrimp separately: Shrimp release moisture when you pan fry them. 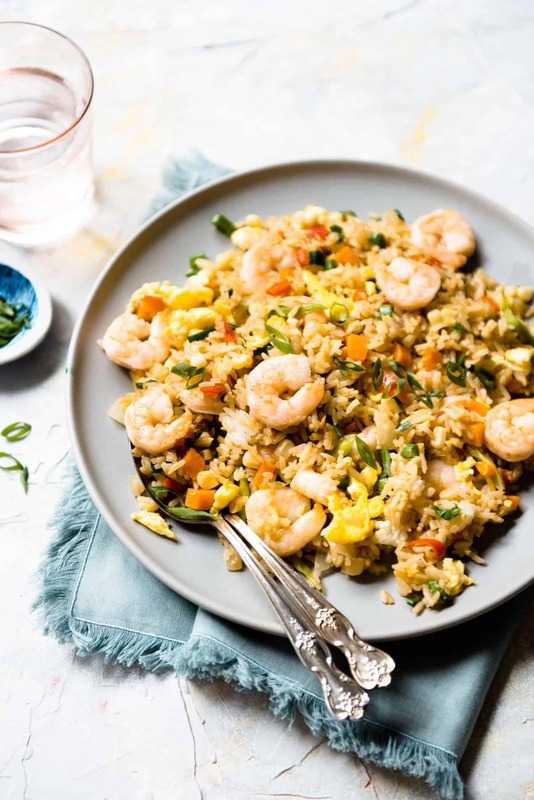 If you cook the shrimp with the vegetables, chances are, you’ll end up with some water at the bottom of your wok or pan. This could lead to mushier fried rice. Cooking the eggs separately: You’ll notice in my recipe that I cook 2 eggs separately and then add the last egg after the rice is in the pan. That’s because I like chunks of scrambled egg and a bit of egg coated rice in the dish. You can cook all 3 eggs separately to simplify the recipe. Substitutes for rice: Quinoa, millet, and farro are great alternatives to rice. Ever wondered how to cook perfect rice? 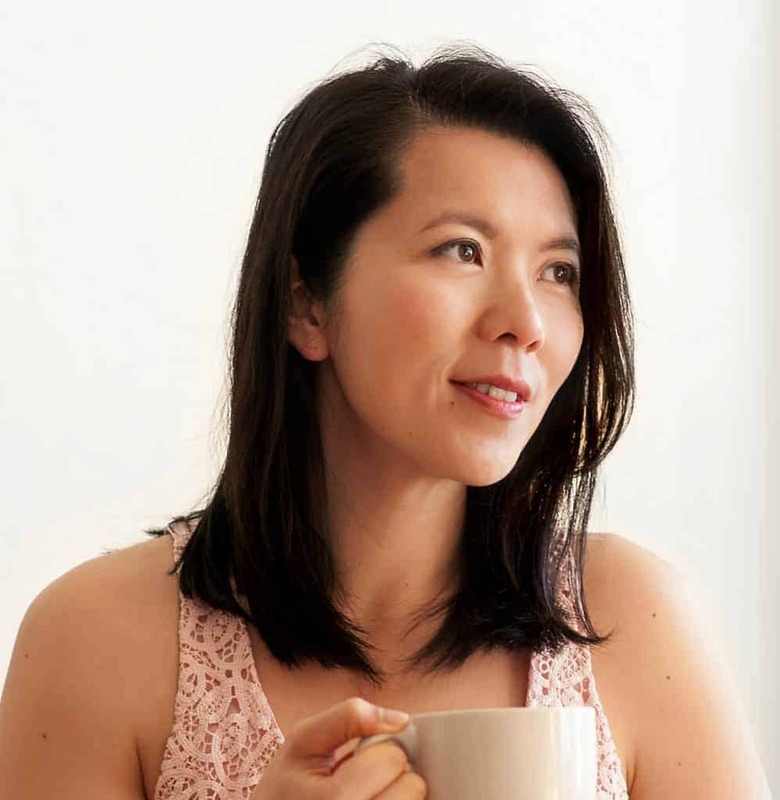 I have a complete guide on how to cook jasmine rice three ways: stovetop, slow cooker & Instant Pot. Wok: This is the first carbon steel wok I purchased, and it has served me well. It is relatively lightweight and it is great for stir fries and steaming. Soy Sauce: This is my favorite light soy sauce. Sesame Oil: I typically use this brand of sesame oil because it has a great nutty flavor. 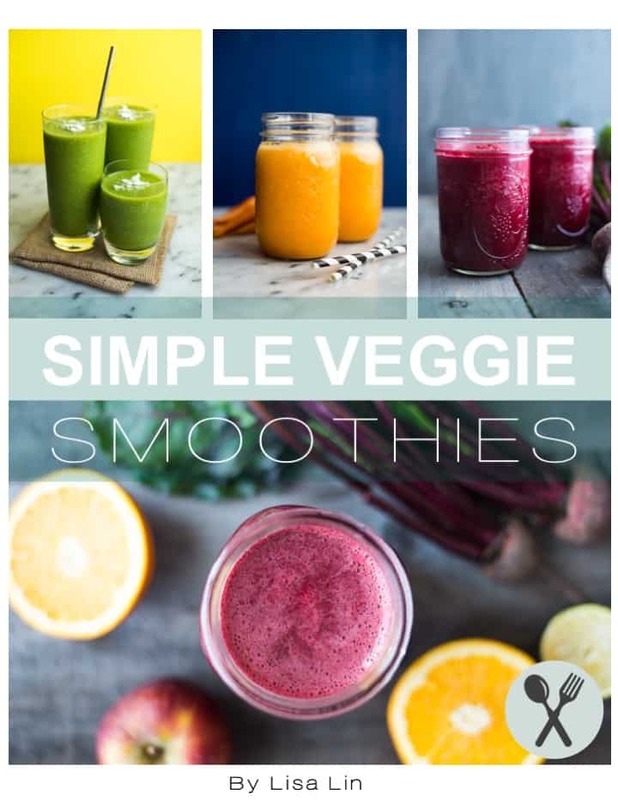 You can adapt this recipe and use whatever vegetables you have. Green beans and peas are great additions to the dish. Heat 1 tablespoon of vegetable oil on a large frying pan over medium-high heat. Add the shrimp and cook for about 3 to 4 minutes, until they start to turn orange. Flip the shrimp over and cook a few minutes more. Transfer the shrimp to a plate. Crack 2 eggs into a small bowl and beat them together. Beat the last egg in a separate bowl. Heat a large sauté pan or a wok with 1/2 tablespoon of the vegetable oil over medium-high heat. Once the pan is hot, add the 2 beaten eggs and scramble them for about 30 seconds, until they’re fluffy and no longer runny. Transfer the eggs to a dish and turn off the heat. Wipe off the pan or wok with a damp kitchen towel. Drizzle the remaining 1 1/2 tablespoons of oil in the pan or wok over medium-high heat. Add the onions and cook them for about 2 minutes, stirring constantly. Add the ginger, and cook for another minute. Next, add the mixed vegetables, scallions, and salt and cook for another 1 to 2 minutes. I like to save some of the scallions (the dark green part) for garnish. Add the soy sauce and sesame oil and stir to distribute the seasoning. Add the cooked shrimp and egg to the pan and stir again. Turn off the heat. Serve the fried rice immediately. Thank you for trying it!! Glad you enjoyed the dish!